To rescue Rapunzel from her tower, a prince yells for her to throw down her hair; but being too far away to hear clearly, she tosses out various items from her room, including her maid. 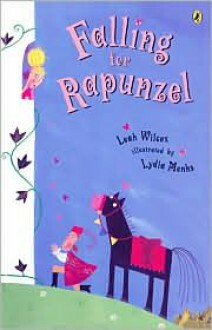 The prince mishears Rapunzel and attempts to rescue her. She misunderstands everything he says, throwing everything to him except her famous hair. Very fun to read aloud.